Penn Yan Aero pioneered the overhauled cylinder process in the 1960s and has since supplied the aviation industry with thousands of top-quality cylinders. Core cylinders are disassembled, bare-metal cleaned, and evaluated for suitability for re-use. 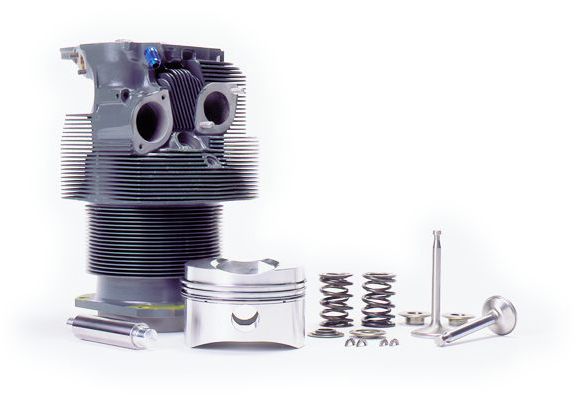 Selected cylinders are overhauled to Penn Yan Aero’s stringent standards and include: new pistons, piston rings, exhaust valves, exhaust and intake guides, keepers, rocker shaft. rocker shaft bushings, and gaskets. Finished cylinders are fully assembled, tested to ensure Penn Yan Aero’s quality standards, and backed by Penn Yan Aero’s industry-leading warranty. Whether you need a top overhaul or individual cylinders, many aviation professionals prefer Penn Yan Aero overhauled cylinders to new. They are really that good.